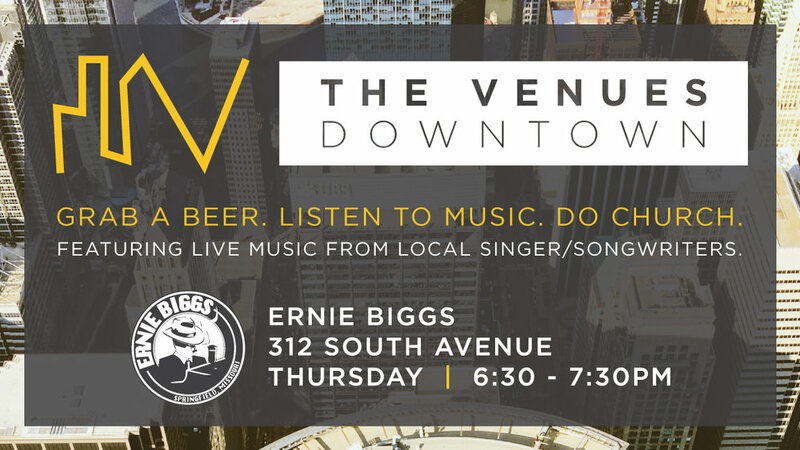 Downtown Venue a.k.a "Bar Church"
What: Downtown Venues exists to provide a community space to talk about tough questions, discuss how to live out our spirituality, and figure out how to make our community a better place. Each week features a different music showcase from a local performer and a brief message. Join the gathering. Join the conversation. Have some fun. Have a drink. Listen to some good music. Ask some questions. Really. We value questions more than answers.